A school bus with children on board went off the road and crashed into several trees in Plano Thursday afternoon. 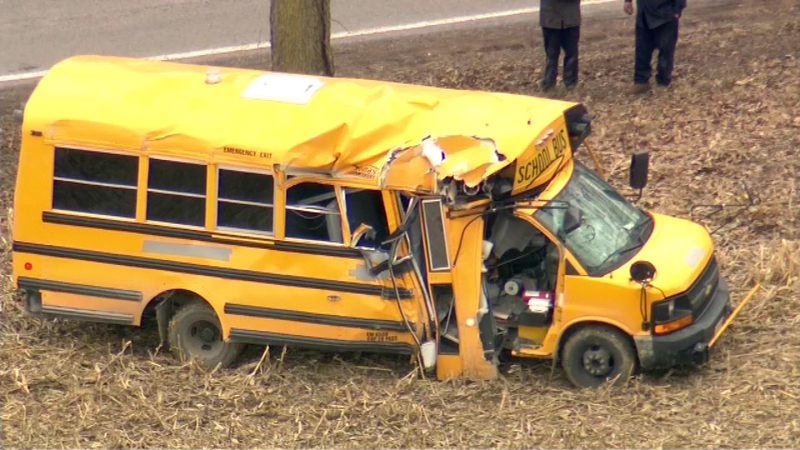 PLANO, Ill. (WLS) -- A school bus with children on board went off the road and crashed into several trees in Plano Thursday afternoon. The three students -- all between the ages of 3 and 5 -- were taken to the hospital with minor injuries, as well as one adult. The Kendall County sheriff is investigating the cause of the crash.